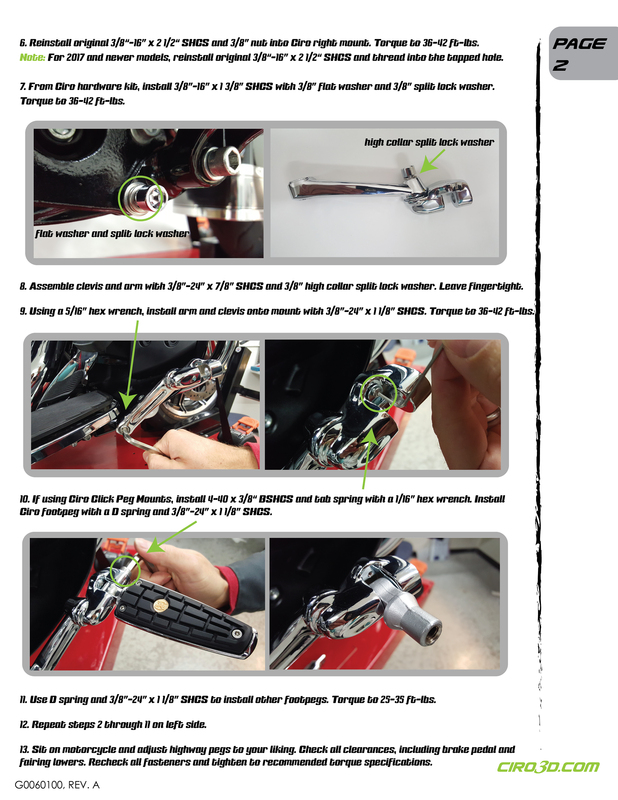 Adjustable Highway Peg Mounts, with chrome arm, are a revolutionary solution to the challenge of adding comfortable highway pegs on a bike with fairing lowers. We started at the motorcycle frame and then worked our way out. The result is the strongest, cleanest looking, and most practical highway peg mount ever. Foot pegs are NOT included. If purchasing Ciro Rail or CMX Footpegs to use with this setup, select footpegs with mounts option (Rail Footpegs w/ Mounts Chrome 61002, Rail Footpegs w/ Mounts Black 61022, CMX Footpegs w/ Mounts Chrome 61006, CMX Footpegs w/ Mounts Black 61026). Replaces factory front floorboard mount. Mounts to factory bolt locations. 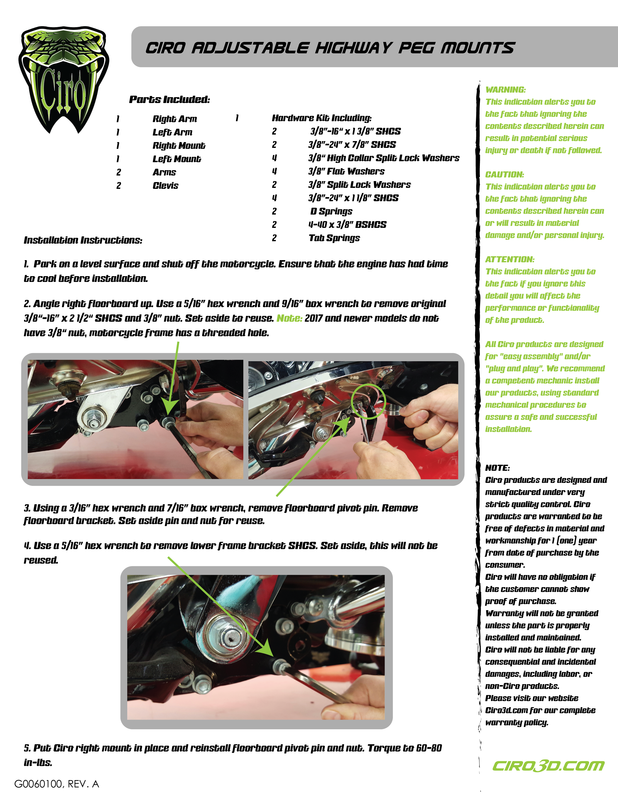 Includes Ciro ratcheting footpeg spring clevis, or utilize your stock style footpegs with the standard "d" spring. If purchasing Ciro Rail or CMX Footpegs to use with this setup, select footpegs with mounts option (Rail Footpegs w/ Mounts Chrome 61002, Rail Footpegs w/ Mounts Black 61022, CMX Footpegs w/ Mounts Chrome 61006, CMX Footpegs w/ Mounts Black 61026).